Nothing uplifts our moods than our dogs kissing us to make us feel better. However, when the kiss comes with a stinky puff of doggy breath, it becomes harder to enjoy. Dental diseases affect the majority of adult dogs, and these diseases can really contribute to your pup’s halitosis. Regular teeth brushing and chewing dental treats are good first steps for improving dogs’ dental health and breath. That said, some pet owners forget that diet also plays a role in oral health. 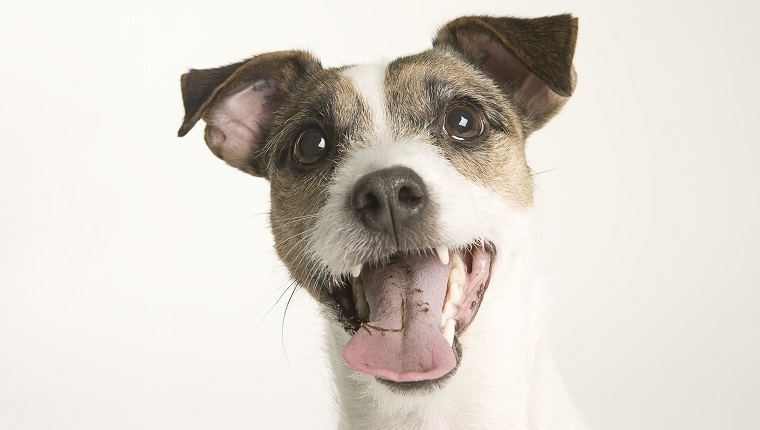 Discuss your dog’s diet with your veterinarian if you’re noticing unpleasant odors coming from your pooch’s mouth. If your dog has chronic smelly breath, it might be time to let them chew on these natural foods to keep the stink at bay. Natural yogurt is not just good for people–it’s also good for dogs! Give your pup plain yogurt either as a treat or as part of their daily food portions. Go for plain, unsweetened yogurt. Sugar additives and food flavoring can be bad for your dog. Always check the label and avoid anything containing xylitol as an ingredient, as this can have a fatal effect when ingested by dogs. One to two teaspoons of plain yogurt should work wonders–as long as your dog is not lactose intolerant! Herbs work wonders for dogs’ breath. The top two that do the best job would be parsley and mint. They keep the breath naturally odor-free. There are many ways to get your dogs to have parsley and mint. They can be mixed into the food or infused into their water bottles. 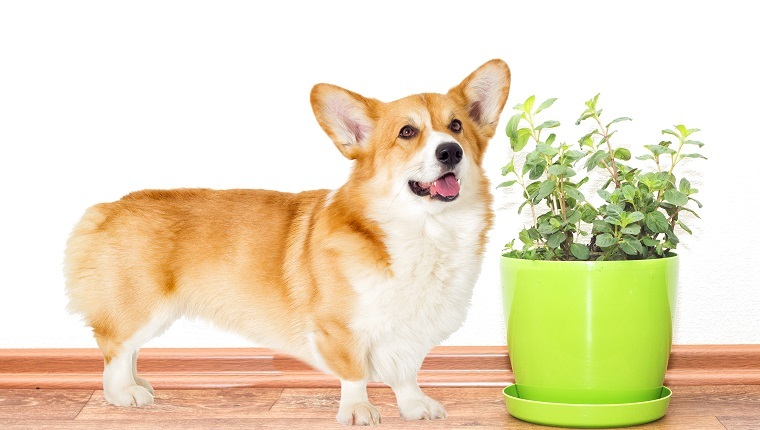 You can also create a natural deodorizer by boiling the parsley in hot water, cooling the infusion, and storing it into a spray bottle that you can use as a breath freshener for your pet. You can add garlic cloves to your dog’s food to rid them of any unsavory breath smells. Be aware that too much garlic can have severe health consequences for canines, and you need to discuss these with your vet before you try giving it to your dog. The key is giving them the right amount that is appropriate for their weight. For smaller dogs around 10 to 15 pounds, half a clove will do. Dogs weighing 20 to 35 pounds should have one clove, while doubling the weight to 40 to 65 requires two cloves. Bigger dogs at 70 to 85 pounds need two and a half cloves, while dogs weighing over 100 pounds should get three cloves. This might be one of the cheaper and easiest solutions out there, as you probably already have it in your kitchen. Granted, these are not natural foods that your dog should ingest. However, if your dog is a chewer, it’s best to let them munch on hard chew toys instead of the soft kind. Beef bones are the sturdiest available, and they have a flavor that your dog may enjoy. Hard chew toys and bones provide a good scraping or grinding action to your dog’s teeth. This constant grinding will break up plaque deposits on his teeth. 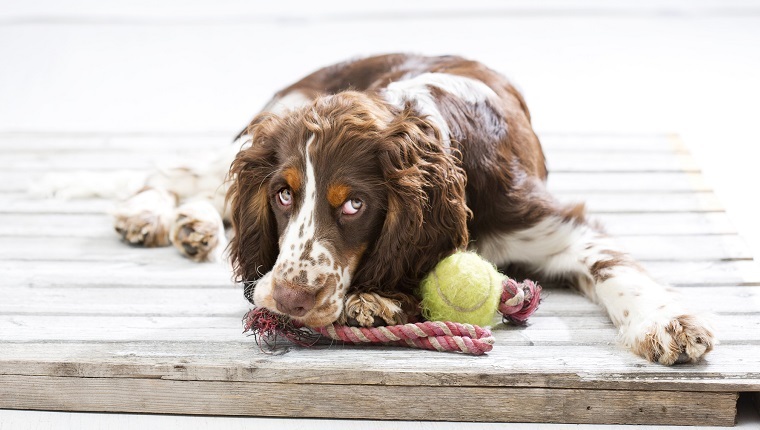 Just make sure to avoid sharp and thin bones or toys that are too ratty–ingesting sharp bones and thin ropes can be hazardous to your dog’s health. Which of the natural food items will you give to your dog to prevent stinky breath? Do you have other remedies that you use? Share in the comments below!